This report is an Internship Report prepared as a requirement for the completion of the BBA Program of North South University. The primary goal of internship is to provide an opportunity to implement theoretical knowledge in real life situation. The program covers a period of 12 weeks of organizational attachment and report finalization work. I was doing my intern at ICB Islamic Bank Ltd, Head office to take the real life exposure of the activities of banking from December 24, 2008 to March 24, 2009. Any academic course has a great value when it has practical application in the real life. Only theoretical knowledge will be useless unless we apply it in the practical life. So we need proper application of our knowledge to get some benefit from our theoretical knowledge. When we are able to apply our theoretical knowledge to our working are we come to know the true benefits of our knowledge. Internship program gives us such an opportunity of applying our theoretical knowledge to our working life. When theoretical knowledge is obtained from a course of study it is only the half way of the subject matter. Internship implies the full application of the methods and procedures. The term paper is titled “Foreign Exchange Practice of ICB Islamic Bank Ltd- A Study on Inherent Risk of Export L/C ”. As a student of BBA this study will be more significant in my practical life. I have worked for three months at Head office of ICB Islamic Bank Limited to complete the internship program as an academic requirement. To get practical idea about Islamic banking activity. To observe the Foreign Exchange operation of ICB Islamic Bank Limited and their services. To observe the major outline of foreign business. To observe credit line arrangement. To observe the foreign correspondents of ICBIBL. To observe the post import financing operations. To analysis the expansion of Foreign Trade business of the ICBIBL. To identify the problems of it’s financing. To recommend solutions of or solving the problems faced by ICBIBL in Foreign exchange Business. To adjust with business environment that will be helpful for my career. To fulfill the requirement of our BBA Program. To evaluate the performance of the ICB Islamic Bank Limited import and export business. To recommend about foreign exchange business of the ICB Islamic Bank Limited. Exploratory Research: The objective of exploratory research is to gather preliminary information that will help define the problem and suggest hypotheses. Descriptive Research: In this type of research certain problem, operation and issue are analyzed in a descriptive manner and also focus on the finding and recommendations. Causal Research: The objective of such type of research is to test hypotheses about cause and effect relationships. After doing all the research work & analyze all those I can see that, I have done a descriptive type of research. Face to face conversation with the respective officer of the branch. Face to face conversation with the clients. Annual Reports of the ICBIBL. Periodicals published by the Bangladesh Bank. Different books, articles etc. regarding Foreign Exchange operations. Time constraint prohibited the preparation of an effective report. Vast areas of tasks operated by the bank. The heavy pressure of task on each desk therefore they could hardly provide little time to discuss. Due to some risky monetary transaction. The secondary data that have been observed was in a form, which was not helpful for this study. Due to the safety and security reasons, access to all the confidential data was not obtained. The information that is provided is the synopsis of the real volume of information, so the complete pictures of the concerned aspects are not evident. Too much of bulk data in the Internet, which made work more difficult. Lack of self-knowledge concerning report preparation, was also a limiting factor in preparing a better report. Bangladesh is a developing country, whose economy is agro based. The Agricultural system is primitive and frequently affected by natural disaster. Poverty is the main problem of this country. About 47.6% of its population is living below the poverty line and another 18% of the population is living below the hard-core poverty line (with consumption less then 1800 calories per head per day). After the devastating flood of 1998-1999, economic activities of the country resumed by taking various rehabilitation program and bumper production in the agriculture sector. Bangladesh economy has faced severe set back again after the terrorist attack at world trade center of USA on September 11, 2001. That event changed the world economic scenarios and caused global economic recession. This global recession severely affected different sectors of Bangladesh economy like ready made garments industry, Frozen food, tourism etc. and due to the global recession foreign assistance was also severely affected. To overcome this situation government has taken various reform plan .Govt. also prepares the current fiscal year’s budget to decrease the foreign aid dependency. Although global recession has caused the ever lowest foreign currency reserve of US$1057n million in October, 2001, which is increased to US$1478 million in April, 2002 & US$20100 in June, 2004 by various positive steps taken by the Government money laundering law, emphasis on remittance through proper banking channel. The country’s economy is based on agriculture. Rice, jute, tea, sugarcane, tobacco, and wheat are the major crops. Bangladesh is the world’s largest producer of jute. Fishing is also an important economic activity, and beef, dairy products, and poultry are also produced. Except for natural gas (found along its eastern border), limited quantities of oil (in the Bay of Bengal), coal, and Bangladesh possesses few minerals. Dhaka and Chittagong (the country’s main sea port) are the principal industrial centers for clothing and cotton textiles, jute products, processed food, pharmaceuticals products, steel, and chemical fertilizers. Remittance, from several million Bangladeshis working abroad is the second largest source of foreign income. It has been a normal practice that Bangladesh Government has been sending our Defense Troops to all over the world for United Nation Peace Keeping operation mission. At present Bangladesh is the largest troops contributing country for United Nation Peace keeping/enforcement operation in all over the world. Our Bangladeshi Troops members are now become very renowned and highly appreciated at all levels for their honesty, sincerity and professionalism. Since the country is unable to feed itself, the most important importing goods of Bangladesh is food. Capital goods, petroleum, are other major importing goods. Western Europe, the United States, India, and China are the main trading partners of Bangladesh. Financial institutions play an important role for the economic development of any country. The objective of these institutions is to accumulate the scattered deposit and invest it in a productive manner to achieve economic emancipation. There are 51 schedule banks (October 2007) operating in Bangladesh. 4 of them are nationalized commercial banks, 8 specialized banks, 29 private commercial banks and 10 foreign banks, 1 co-operative bank, 1 grameen bank .The number of branches of those banks is 6242. Of which 2511 (40.2% of total) are in urban areas and rest 3731 (59.8% of total) are in rural areas. For proper monitoring the operations of banks, Bangladesh bank introduces “Problem Bank Monitoring Division” in addition to CAMEL rating. To increase the economic activities Bangladesh bank reduces the bank rate to 5% from 6%. To increase customer services banks are using various modern techniques like on line banking, ATM, Money Gram, and Credit Card etc. From the initial issuance of a license to operate a bank in Hungary in 1994 (which was disposed in May 2007), the ICB Banking Group has established or acquired commercial banks in Eastern Europe, Africa and Asia within the last fourteen years. By now ICB Banking Group is operating banks in thirteen countries and with the advantage of banking experience of more than a decade in a global environment. In 1996, the group began its first African operations in Ghana and today has a presence in 9 African countries. The Group subsequently made its foray in Asia in 2003 by acquiring an indirect stake of 11.3% of Bank International Indonesia, one of the largest banks in Indonesia (which was disposed in January 2008). It also acquired a controlling concern in the mid-size bank Bumiputera in Indonesia in 2004, thereby expanding its frontiers in the banking industry. In 2004, the individual ownerships of the ICB Banking Group were corporative under the umbrella of ICB Financial Group Holdings AG, a Swiss based holding company. On 17th May 2007, ICB Financial Group Holdings AG was listed on AIM market of the London Stock Exchange. The country of incorporation of ICB Islamic Bank is Switzerland. Government states the rule and regulation that should be followed by a private bank. The initiative of government has paved the way to create new and dynamic financial institutions. One such institution in our banking sector is “ICB Islamic Bank Limited”. The bank has been incorporated in April, 1987 as a public limited company under the Companies Act, 1913 to undertake & carryout all kinds of banking, financial & business activities, transactions & operations in strict compliance with the principles of Islamic law (Shariah) relating to business activities in particular avoiding usury in credit & sales transactions & any practice which amounts to usury. Certificate for commencement of business has been issued to the bank on April, 30, 1987. The Bank has been authorized by the Bangladesh Bank to carry on the banking business in Bangladesh with effect from May 4, 1987. However; actual banking operations commenced on May 20, 1987 & emerged as 2nd Islamic Bank in the country under the name “Al Baraka Bank Bangladesh Limited”. Initially bank has started its operation in the name of Al Baraka Bank Bangladesh Limited but on 31st December, 2002 it was renamed as “The Oriental Bank Limited” by the Register of joint Stock Companies. The Oriental Bank Limited had been going through financial crisis for years and the bank gradually reached the verge of collapse at beginning of 2006. It became a serious issue by following a report of Daily Prothom Alo which brought the issue to all concern. Following the report of Prothom Alo and few other dailies, there were serious pressure of withdrawal on the bank which was about to take a ruinous form. Moreover, unfavorable news regarding the Oriental Bank Limited started influencing clients of other private banks to withdraw their money. Observing this situation, for salvaging oriental and other private banks as well, Bangladesh Bank was considering number of options and finally opted to takeover the responsibility of the Bank. As such, Bangladesh Bank on 19.06.2006 removed the Managing Director, dissolved the Board of Directors and appoints an Administrator. Bangladesh Bank undertook the control of the bank on June 19, 2006 as bank was in extreme liquidity crisis due to many setbacks and irregularities in preceding years. Bangladesh Bank also confiscated shares of the owners later on. The Bank was listed at Dhaka Stock Exchange limited and Chittagong Stock Exchange Limited. On 4th March 2008, The Oriental Bank was took over by ICB Banking group.. ICB Islamic Bank Ltd. operates in Bangladesh with a total of 32 branches across the country based on Islamic Shariah. Its authorized Capital is Tk.10.00 billion (USD 0.14 billion approx.) and Paid-up Capital is Tk.7.00 billion (USD 0.1 billion approx.). The present Chairman of our Bank Dr. Hadenan A Jalil was the former Auditor General of Malaysia. The Chief Executive (Managing Director) Mr. Abdul Latif Bin Yahaya was the former High Official of the Central Bank of Malaysia. The ICB Banking Group is a member of London Stock Exchange. Commensurate with the global policy of ICB Banking Group, ICB Islamic Bank is committed to provide banking services of international standard to its clients in all areas of banking to cater customer need. ICB dedicated substantial investments to ensure that best people are employed; the operating systems are technologically superior; proven systems and methods are implemented consistently with best practices; strong internal controls are entrenched; and proactive risk management is implemented and respected. The principal place of business is the registered office at T.K. Bhaban ( 4th,14th, 15th, 16th Floor), 13, Kawran Bazar, Dhaka-1215, Bangladesh. ICB Islamic Bank Ltd. Currently the bank has 32(thirty two) branches; 12 in Dhaka, 4 in Chittagong, 4 in Sylhet, 3 in Jessore, 1 each in the district of Khulna, Hobigonj, Barisal, Rajshahi, Feni, Narsingdi, Naogaon, and Narayangonj. The bank provides all kinds of commercial banking services to customers observing the provisions of the Bank Companies Act.1991, Bangladesh Bank’s directives & the principles of Islamic Shariah. The vision of the Board and the Management is to lead the Bank to a new height with all rounds of achievements and to make it a Bank for the new generation, for which all of us will feel proud of. Providing the greatest return to share holders by achieving sound profitable growth. Having staffs of the highest caliber. To establish Islamic Banking by translating the Islamic economic principles into practice, blending the progressive Islamic Thoughts of Banking & latest financial services technologies with commitment for 36 highest degree of accountability & transparency with all trust on Allah. Increase the number of branch. Make friendly & nice relationship between the management and the employees. To develop & consolidate a strong client base and ensure all kinds of modern banking facilities. Expanding business & service periphery to fulfill the expectations of the shareholders and customers by following Islamic Shariah. To equip & prepare the Bank with modern & up to date progressive Islamic banking system, to achieve the target of becoming “The number one Bank” of the country in respect of profitability and service. The value statement of ICB Islamic Bank Limited is “A Progressive Islamic Bank”. Focus on the customers to build relationships based on integrity, superior service and mutual benefits. Work as a team to serve the best interests of the group. Respect people and make decisions based on report. Recognition and rewards based on performance. Responsible, trustworthy and law abiding in every activity. The bank provides all kinds of commercial banking services to the customers observing the provisions of the Bank Company Act 1991, Bangladesh Bank’s directions & principles of Islamic Shariah. Products & Services of ICB Islamic Bank Ltd.
To perform these functions simultaneously the bank divides its operations in four parts that is General Banking, Loan and Advances, Foreign Exchange and Account section. The main topic of my internship report is “Foreign Exchange Practice of ICBIBL”. I will discuss about the topic in the later chapter. Foreign trade can be easily defined as a business activity, which transcends national boundaries. These may be between parties or government ones. Trade among nations is a common occurrence and normally benefits both the exporter and importer. In many countries, international trade accounts for more than 20% of their national incomes. Foreign trade can usually be justified on the principle of comparative advantage. According to this economic principle, it is economically profitable for a country to specialize in the production of that commodity in which the country has greater comparative advantage and allow other country to produce those commodities in which it has lesser comparative advantage. It includes the spectrum of goods, services, investment, technology transfer etc. This trade among various countries causes close relation between the parties dealing the trade. The bank, which provides such transactions, is referred to as rendering international banking operations. International trade demands a flow of goods from seller to buyer and payment from buyer to seller. And this flow of goods and payment are done through letter of credit (L/C). As more than one currency is involved in foreign trade, it gives rise to exchange of currencies which are known as foreign exchange. The term “Foreign Exchange” has three principal meanings. Firstly, it is a term used to refer the currencies of the other countries in terms of any single currency. To a Bangladeshi, dollar, pound sterling etc. are foreign currencies. Secondly, the term also refer to some interments used in international trade, such as bill of exchange, Drafts, Travel cheque and other means of international remittance. 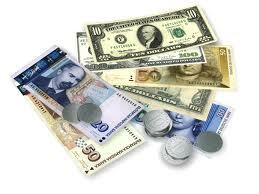 Thirdly, the terms foreign exchange is also used to refer to the balance in foreign currencies held by a country. In terms of section 2(d) of the foreign exchange regulations 1947, as adopted in Bangladesh, Foreign Exchange means foreign currency and includes any instrument drawn, accepted or issued under clause (13) of article 16 of the Bangladesh Bank order, 1972, all the deposits, credits and balances payable in any foreign currency and draft cheque, letter of credit and bill of exchange expressed or drawn in Bangladeshi currency but payable in any foreign country. In exercise of the power conferred by section 3 of the foreign exchange regulation, 1947, Bangladesh Bank issues license to schedule bank to deal with exchange. These banks are known as Authorized Dealers. License to firms and persons are also issued by Bangladesh Bank to exchange foreign currency instruments such as T.C, currency notes and coins. They are known as Authorized moneychangers. Advising/Confirming letters – letter of credit. Issue of DD, MT, TT etc. Payment of DD, MT, TT etc. Maintenance of foreign currency account. Exchange position and cover operations. Registration partnership deed (if any). Rent receipt of the business premises. L/C application form duly attested. To import, a person should be competent to be an importer. According to import and Export control Act, 1950, the office of chief controller of Import and Export provides the registration certificate (IRC) to the importer. After obtaining this the person has to secure a letter of credit authorization (LCA) from Bangladesh Bank and then a person becomes a qualified importer. The person who requests or instructs the opening bank to open an L/C is also called opener, applicant, or the credit. A letter of credit is a conditional bank undertaking of payment. In other words, L/C is a letter from the importer banks to the exporter that the bills if drawn as per terms and conditions will be honored on presentation. The Letter of Credit (L/C) Registration function shall allow the user to register a new L/C upon receipt of an application for issuance / opening of L/C. (a) Able to automatically generate and assign a unique reference number for each new L/C according to the bank pre-defined format. The system‑assigned number will be the L/C reference number and shall be used for all future transactions on the L/C. (c) Capture brief information on L/C, such as type of L/C, customer, application date, date of receipt of application, currency and amount of L/C. (d) Book / Earmark on the customer’s L/C credit line, using L/C amount in local equivalent / currency of facility, computed using prevailing counter mid-rate exchange rate. (e) To log the name of user who performs the registration and the date of registration in the registration record. (f) Allow user to ‘cancel/delete’ the registration record (i.e. marked unused) with reason, should the bank decide not to proceed with the issuance transaction. Reference numbers that are ‘deleted’ cannot be re‑used. L/C application properly stamped, verified signature, approved margin and properly retained. Indent / Proforma Invoice signed by the importer and Indenter / supplier. Ensure that the relevant particulars of L/C application correspond with those stipulated in Indenter / Proforma Invoice. Validity of LCA entitlement of goods, amount etc. conforms to the L/C application. Conversion and rate of exchange correctly applied. Charges like commission, FCC, Postage, Telex charge, SWIFT charge, if any recovered. Insurance Cover Note – in the name of issuing bank – A/c importer covering required risks and voyage route. If foreign bank confirmation is required, necessary permission should be obtained and accordingly advising bank is advised as per banks existing arrangement. If add confirmation is required on account of the applicant charges should be recovered from the applicant. In foreign exchange banking Letter of credit (L/C) opening is an important part. L/C opening is a set of procedure which every importer needs to follow to import their products. At first importer need to contact with Exporter and with their mutual understanding exporter prepare Pro forma Invoice and sent it to the importer. After receiving the Pro forma invoice importer presents it to their bank that is known as issuing bank that prepare L/C on behalf of importer. After preparing L/C proposal, it needs to be sent to Head office of issuing bank for approval. After getting approval from the head office, issuing bank open L/C on behalf of Importer, signed by proper authority of bank, and send it to authorized export county bank for authentication. The process is done through SWIFT/Telex. The bank that provides authentication then is known as Advising Bank. After giving the authentication seal, advising bank send it to the exporter bank as per requirement of invoice. Acceptance of the terms and conditions of sanctioned advice on duplicate copy. Copy of municipal trade license. IRC TIN of importer and valid Registration Certificate of Indenter. Copy of resolution of the partners for taking financial facilities and authorizing partner(s) for execution of documents and operation of the account (in case of a partnership firm). Copy of Memorandum and Article of Association of the company including Certificate of Incorporation duly certified by RJSC and attested by the managing director accompanied by an up-to-date list of director (in case of limited company), in case of public limited company Certificate of Commitment of business is to be obtained. Copy of board resolution of the company for taking financial facilities and authorizing directors for execution of documents and operation of the account (in case of limited company). An undertaking not to change the management of the company and the Memorandum and the Articles of Association of the company without prior written permission of the bank (in case of the limited company). Copy of the audited Balance Sheet for last three years (in case of limited company). D.P Note Single / joint stamped. Undertaking from the client that import documents will be retired by them on the first presentation (in case no post import facility is extended). Declaration from the importer to bear the exchange rate fluctuation. Letter of guarantee (stamped) of all the partners in their individual capacity (in case of a partner ship firm). Corporative Guarantee from legal entity on Tk150/- non-judicial stamp, if required in Head office Sanction Advice. Supplier’s satisfactory credit report in all cases where the amount of Letter of Credit exceeds Tk 2, 00,000 against the Proforma Invoice Issued directly by foreign supplier and Tk 5, 00,000 against indent issued by local agent of the suppliers. Partnership inspection Certificate if required in H.O Sanction Advice. In case of failure to export the goods as per terms of export L/C they will make payment of relative import bills at maturity date from WES fund from their own sources (in case of back to back L/C). The following accounting system is followed in documentary credits. The register shall be posted immediately on receipt of approval from the manager to open an L/C. This register should control the numbers of the L/C. Amendment of irrevocable L/C is not permitted without the joint consent of all the parties involved in document credit operation. Each and every clause of the L/C can be amended provided the parties involved in the L/C give consent to it. Each and every amendment of L/C must be noted in the L/C file and copies of each amendment be kept in the L/C file chronologically (date wise). Any other requirement of the credit. Enough number of copies not submitted as required by L/C. Documents not properly endorsed in favor of the bank. Gross Weight and Net Weight shown in different documents differ.